We love to play in the great outdoors, and we guess you do too — you wouldn’t be reading this if you weren’t, after all. And then there is the fact that outdoor recreation is one of the many reasons why people flock to the Canadian Rockies and Banff National Park every year from all over the globe. But playing outside comes with responsibility; safety is important when you’re out in the backcountry. If you or someone you’re with is injured, help may be a long time coming. 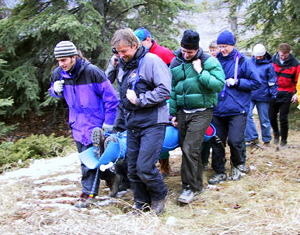 Yamnuska’s course is recognized by Alberta Occupational Health and Safety as an Advanced First Aid certificate. In 2011 the course runs January 6 – 15; April 16 – 25; and October 27 – November 5. 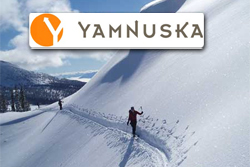 Yamnuska also offers a three-day recertification course. Courses take place at Yamnuska headquarters in Canmore. So now you can come to Canmore, take your wilderness first-aid course, then head to Banff, Lake Louise or back up here to Jasper where you can head out into the Canadian Rockies backcountry of Banff or Jasper National Park.